HOK developed the master plan for the Istanbul International Financial Center (IIFC), a US$2.6 billion project that is integral to Turkey’s plan to make its economy one of the world’s 10 largest. The Turkish government’s goal for the landmark project is to establish Istanbul as a global center for finance. The IIFC will house the head offices of the country’s financial market governing bodies, state-owned and private banks, and related businesses. It will include 45 million square feet of office, residential, retail, conference, hotel and park space. HOK’s master plan provides a framework for developing a sustainable financial center in a way that blends human need, environmental stewardship and economic viability into a new global model of urbanism rooted in Turkish culture. The plan creates four distinct districts focusing on culture, commerce, civic functions and governance. Strategically located between the Ataşehir and Ümraniye districts, the site offers easy accessibility and views to the historic center of Istanbul. Major infrastructure improvements include a transportation system featuring a new subway line and station as well as new infrastructure for sustainable power, water, data and security. These systems are integrated into a podium that provides a surface for a new urban park. In addition to creating the master plan, architectural and landscape design standards, and sustainability guidelines, HOK is designing two of the IIFC’s high-rise office towers. 45 million sq. ft. / 4.2 million sq. 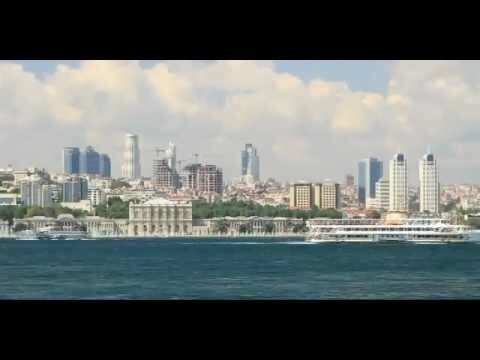 m.
Watch a video about the new Istanbul International Financial Center.